Every day, you risk your lives for us as a first responder. Bruce Lowrie Chevrolet wants to say thank you. That's why we're participating in GM's First Responder discount program. Now, firefighters, police, EMTs, paramedics and 911 operators can receive special pricing on eligible Chevy vehicles. What kind of vehicles? The list is extensive. You'll get great, special offers on cars, trucks and SUVS such as the Chevy Silverado, the Chevrolet Camaro and the Chevy Volt, among others. Whatever you're looking for, you're bound to find it in one of our exciting 2019 or 2018 new Chevrolet models. Who's eligible for GM's First Responder program? To use the discount, go to ID.me and create an account. Then, simply head to GM's easy-to-navigate First Responder page and log in using your ID.me credentials. You'll then click the button to secure your authorization number and bring that into our dealership in Fort Worth, TX along with your driver's license. For 911 dispatchers, you'll visit the link above and sign-in, then follow the prompts to retrieve your authorization number. Don't forget to bring your 911 training and education document or 911 card with you in addition to your driver's license! If you have any questions or want to know more about our First Responders discounts, please feel free to contact our staff anytime. We're always more than happy to go over the details of our First Responders program with you and to see if you qualify. When you're ready, explore our site and find your perfect new Chevrolet vehicle. Once you've picked out the ideal truck, car or SUV that you want, send us a message and let us know. We'll have it ready for you to test drive when you come in. 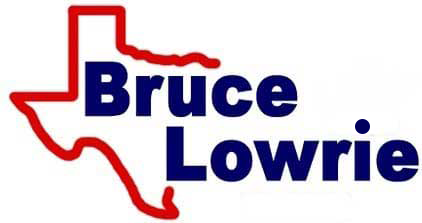 From everyone here at Bruce Lowrie Chevrolet, thank you for all that you've done and all that you continue to do. You are true heroes and we can't wait to help you find the perfect new vehicle for your automotive needs!